The only facedown chair that adjusts with the push of a button. Let us customize a package to your body type and favorite activities. 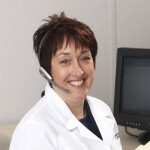 At McFee Technologies, we understand that vitrectomy surgery recovery can be intimidating. Since 1997, we've been helping patients to create the safest and most comfortable recovery possible. We offer free phone consultations, insurance help, set up videos, customer support, and the cleanest, highest quality equipment on the market. Let our team guide you to the best solution! Call us at 1.800.669.5323. FREE professional insurance assistance - we'll obtain pre-authorization upon request! 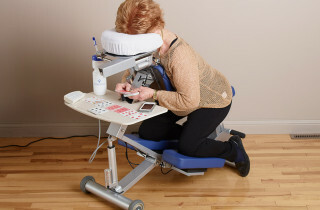 Our vitrectomy surgery recovery equipment provides more face down positioning options (sitting upright as well as lying down) than any other company. 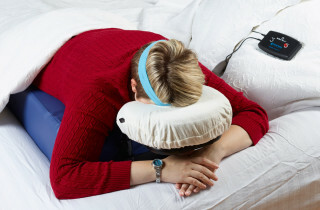 We offer rental of the best variety of face-down equipment, including comfort innovations you won't find anywhere else. 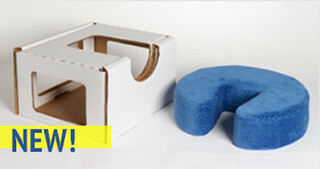 McFee Exclusives — Only Available Here! This lightweight and easy to ship face down support can be used on a table top or for off the edge of the bed positioning to remain face down during your critical recovery period. McFee Medical Technologies is excited to introduce the EZ CHAIR – the only chair that lets you easily adjust your position by simply pushing a button. 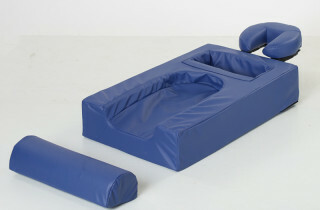 McFee Technologies will customize any package with specialty body cushions to meet the individual needs of each patient’s body type and physical needs. Sleep in peace with the Roll Over Alarm. An alert sounds if you move from the face down position.